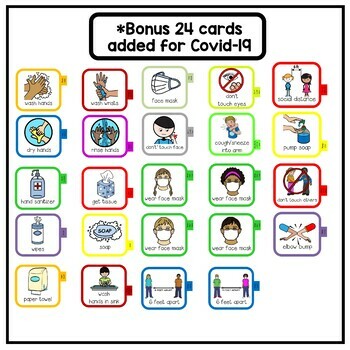 This is an activity necklace/visual cue pack used to augment everyday classroom directives/expectations. 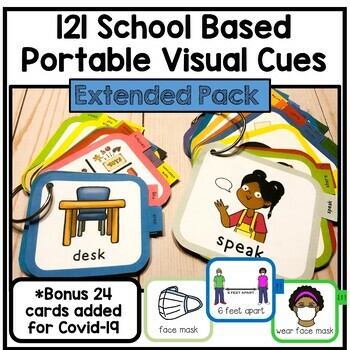 It is an expanded version of the 26 portable visual cue pack also available in my store. Students with autism or auditory processing disorders often find it difficult to accurately and fluently process and follow verbal directives. The use of visuals helps assist these students to understand and follow both teacher directives and classroom/behavioral expectations. Provided in this packet are 121 different visual cues in 2 different sizes (4.75in x 4.25in, and 3.25in x3in) to aid portability. Each visual has a labeled tab to make each directive easy to find. Additionally a variety of different colored borders are utilized in order to further aid visual discrimination. 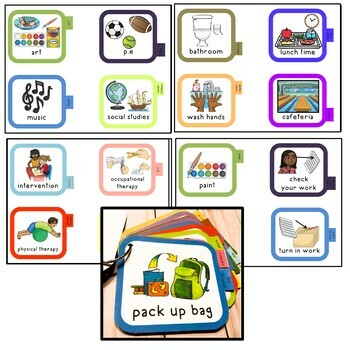 BUNDLE: School communication visuals. Pictures, cue cards and schedules. 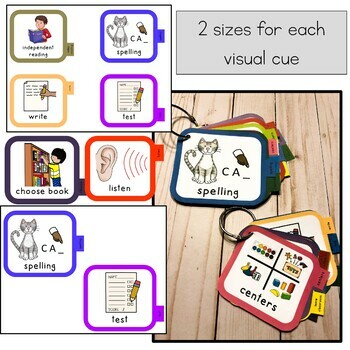 Also available is a discounted bundle of this product and 2 other school based communication cue cards.